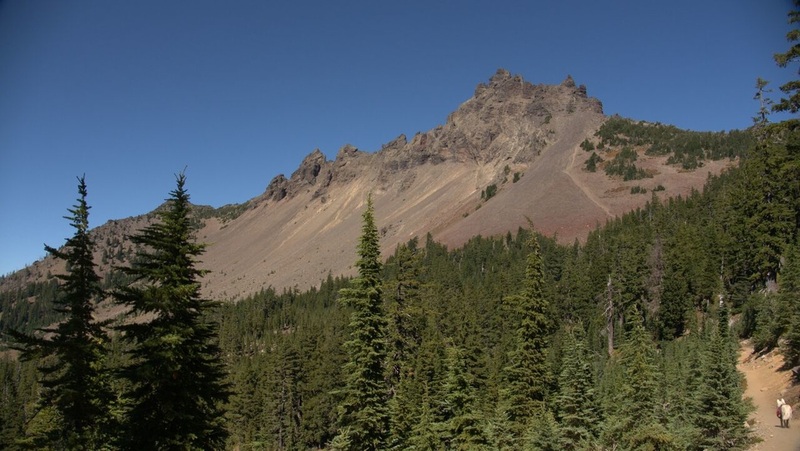 ​What do you do on a summer weekend when the more popular wilderness areas of Oregon are bursting at the seams with other hikers? Grab your dog, find a buddy, and head for Three Finger Jack of course! 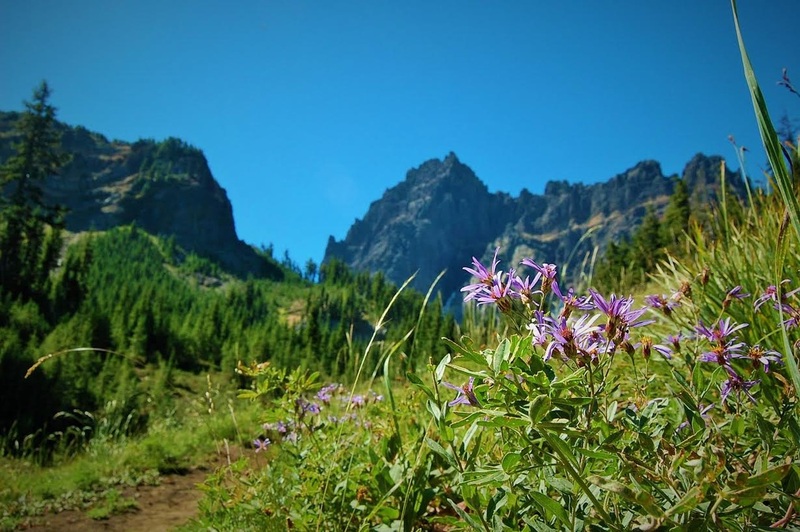 While Canyon Creek Meadows on the west side of Jack may be the exception, the rest of the mountain is generally quiet and just begging to be explored. Much of this area was burned intensely in 2003 by the Booth & Bear Butte (B&B) complex fire, now the views are wide open as the forest slowly regenerates. Just make sure to bring a hat, and sunscreen. 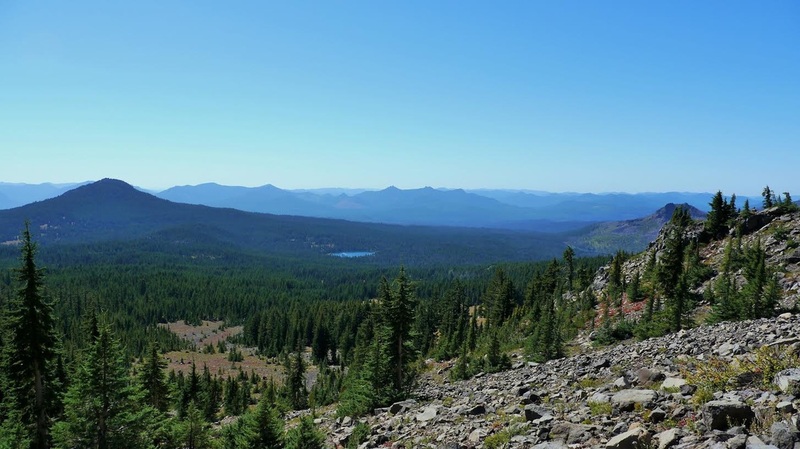 August 21st, 2015 was a hot weekend and my friend Justin and I, along with my dog Kaya set out on the Pacific Crest Trail (PCT) near Santiam pass to complete a loop around Three Finger Jack. 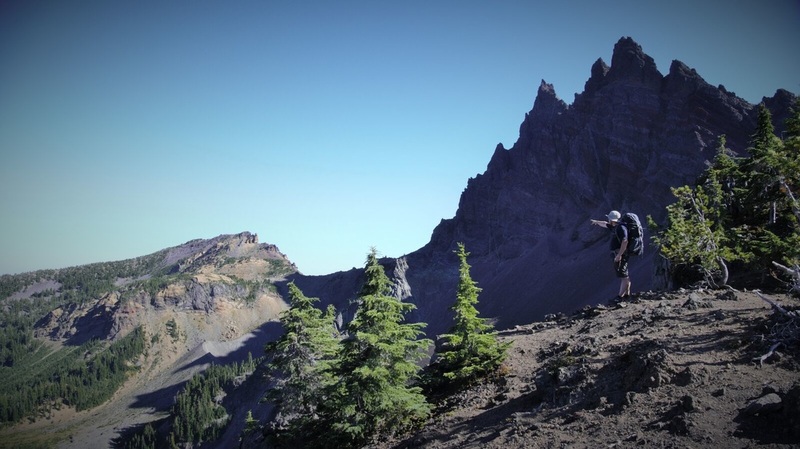 We began by ascending steadily through burned forest as we slowly gained views of the Three Sisters and our main attraction, Jack to the north. After several dusty miles the burn begins to give way to a high mountain forest and glorious shade. The shade doesn’t last long though and soon we found ourselves at about 6,300 feet elevation, we are perched on the side of Jack himself, staring up at his rocky spires! 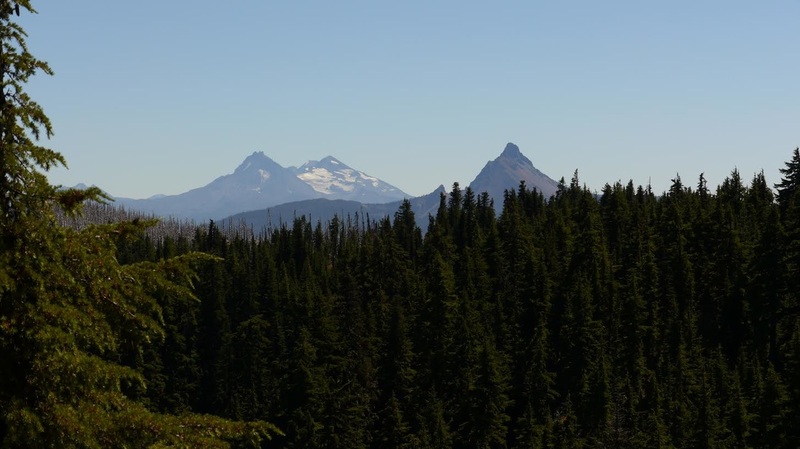 Views stretch out far to the west with Maxwell Butte and Santiam Lake being the most visible points of prominence. We slowly continued north on the PCT ignoring the climbers trail to the right, but stopped to take in views frequently. As we crossed over Jack’s northwest ridge a huge vista including Mt. Jefferson came into view, wow! At this point we had only seen four other people since departing the trailhead, but as we continued we’re surprised to run into a PCT hiker that was napping right next to the trail, hmmm. I would have liked to ask him some questions, like why does he have a hubcap full of signatures lashed to his pack? But instead we hiked by quietly and let him rest. A short distance later we reached a pass between Jack and Porcupine Peak. The broad face of Jack is hulking to the south and Canyon Creek Meadows is now visible directly below. After a few switchbacks down the west side of the mountain we descended the ridge heading north and reached a cliff top viewpoint that overlooks Wasco Lake, our stopping point for the day. Much of the Wasco Lake area didn’t survive the B&B fire, but we were able to find good unburned campsites on the northern end of the lake and set up camp for the night. The next day we began heading south, about a half mile from the lake we again reached unburned forest. We followed the trail north past two trail junctions* before reaching Canyon Creek Meadows. In July the meadows here host spectacular wildflowers, which the mountain seems to jut straight out of. We missed the wildflowers this year, but the meadows are still awe inspiring nonetheless. After slowly meandering through them we began the ascent up the east ridge of Jack. Though there are no official trails up the ridge, many who visit the meadows take time to follow the boot path nearly 900’ to the top. And for good reason, the views here stretch from Mt. 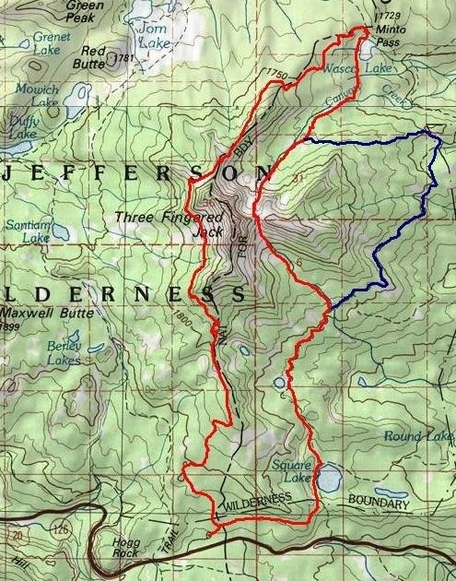 Jefferson in the north all the way to Broken Top in the south! It’s here that we caught a glimpse of something I have never seen before in the Oregon Cascades… While taking in the view and doing some exploring we consistently hear rock fall coming from the mountain. After a while we finally caught a glimpse of what was causing it, mountain goats! A rare sight in Central Oregon, mountain goats are beginning to gain a foothold after being reintroduced in 2010. It’s hard to stop watching, but finally we descended the ridge, again heading south. After leaving the ridge we were completely unassociated with any sort of trail. We hiked down, plunging through rocky scree while admiring Jack’s eroded cliffs. At the bottom we met the dried up bed of First Creek. We followed it east over rough burned landscape and wondered if others have stepped in the same spots. I try to imagine what it was like here before the area burned, but I won’t see anything but B&B ruins for the remainder of our route. After a mile of following the creek bed we rejoined the Summit Lake trail and again turn south. 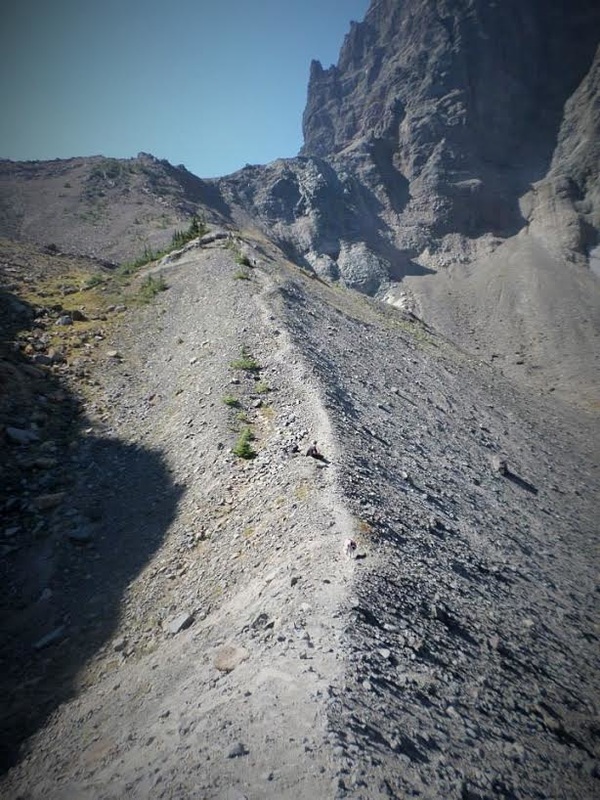 The trail meanders up and down climbing over burned ridges and descending them in turn. The heat of the day was upon us at this point, so we stopped at the completely burned Booth Lake for a cool down. After a soak we returned to the trail and continued towards Square Lake. The trail climbs to a pass and then switchbacks down to the lake. We hiked around the lake's brushy shore and then hiked two more dusty miles west, back to where our journey began. It was two great days of getting to know Three Finger Jack a little better! *Disclaimer: the trail descriptions, mileage, GPS tracks and difficulty ratings depicted on this website are never 100% accurate. Always hike at your own risk, using your own knowledge, equipment and common sense.